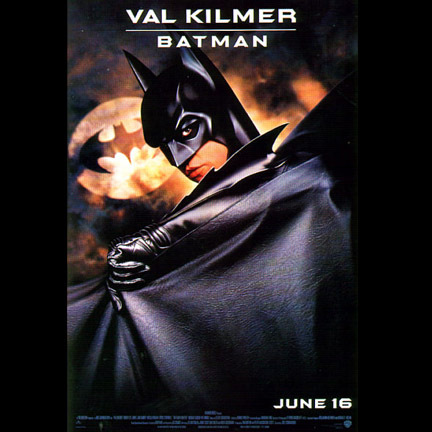 This conceptual maquette was used for the character “Batman” portrayed by actor Val Kilmer in the 1995 film, “Batman Forever”. 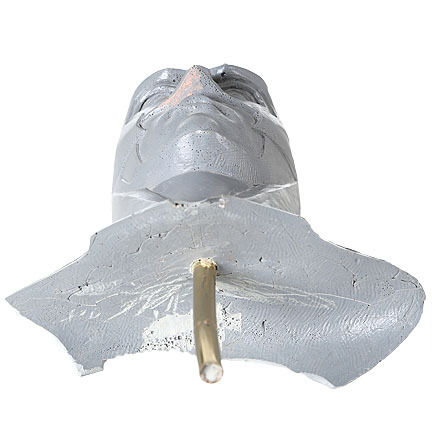 The maquette, is a cast of the conceptual clay sculpt by José Fernandez and is composed of grey resin. 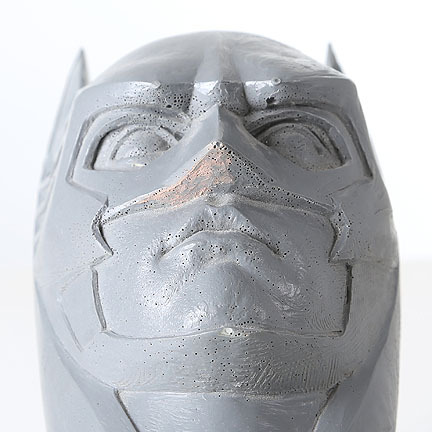 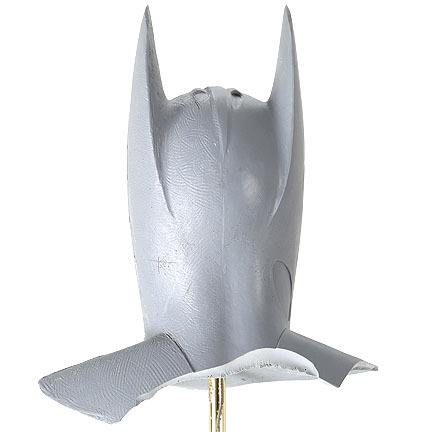 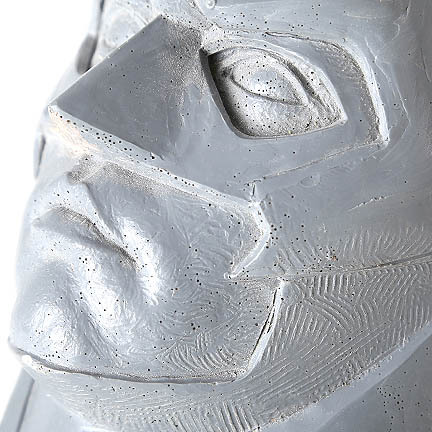 This maquette was created to visually compare the two versions of Batman cowls in the pre-production meetings. 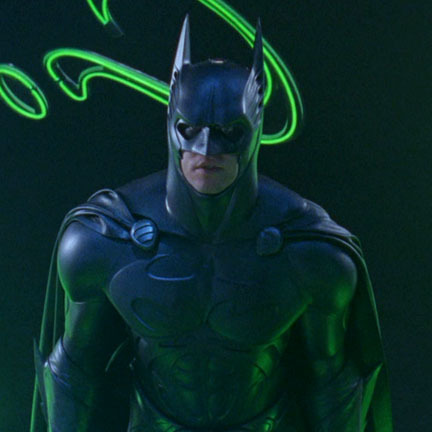 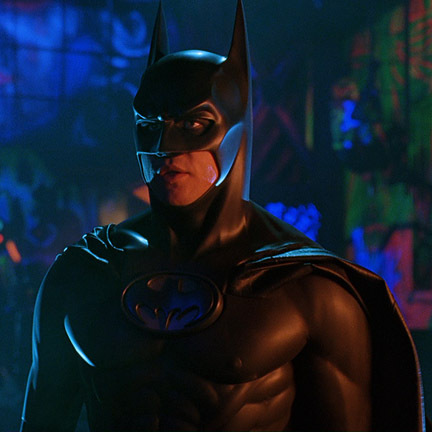 The right side of the maquette is the Tim Burton version of the “Panther” cowl, and the left side is the “Sonar” cowl design that was worn in the third act of the film, after “The Riddler” (Jim Carrey) destroys Batman’s Batcave. 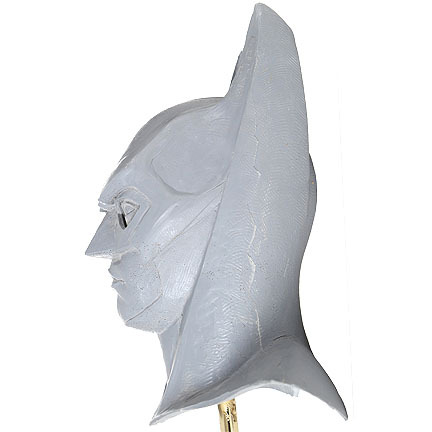 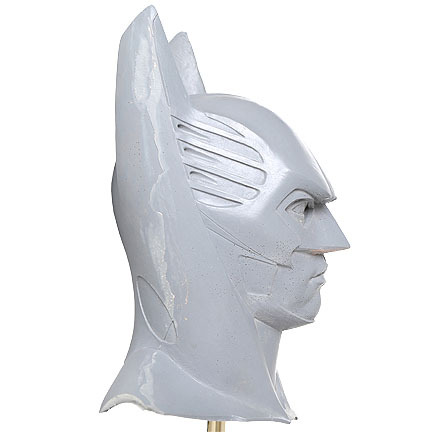 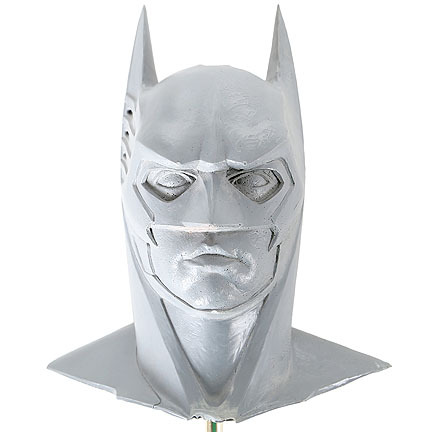 The maquette rests upon a metal rod and the verso of the collar is partially chipped. 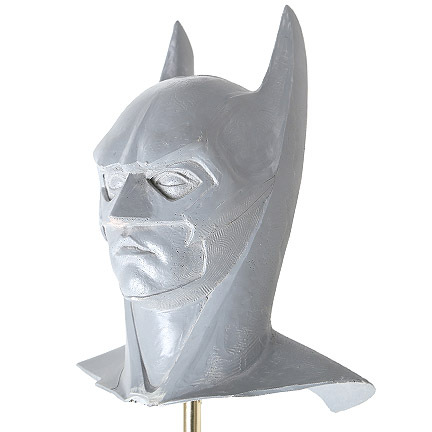 This rare piece of Batman history is in excellent production used condition and is accompanied by a letter of authenticity from it’s designer José Fernandez. 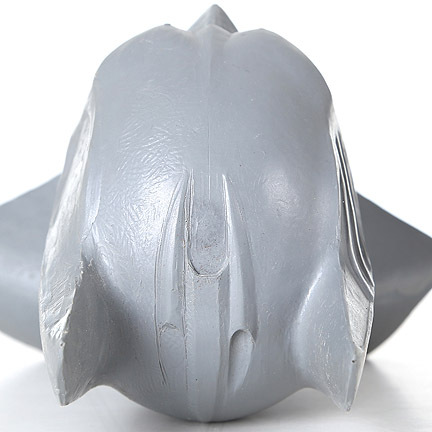 Radius of Base: 18", Radius of the head: 13 1/2", Length of item: 8", Rod Length: 3", Depth: 5 1/2"